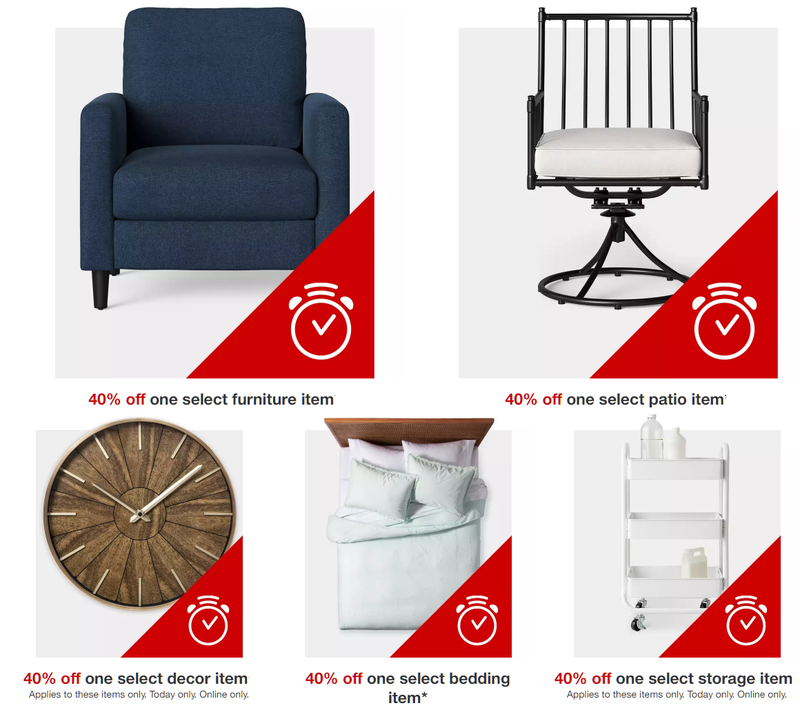 40% Off Home Items on Target Online Today. Great deals on Patio Sets, Chairs and Furniture, Home Decor, Furniture, Pillows, Linens, Bedding, Storage Baskets, Ecobee or Honeywell Thermostats and Much More! Target cardholders will get an extra 5% when they use their card + ANOTHER 5% off with promo code. LOTS OF REALLY GREAT DEALS!!! Only the itmes at the link below are 40% off. You will see 40% off at checkout, no coupon code needed.